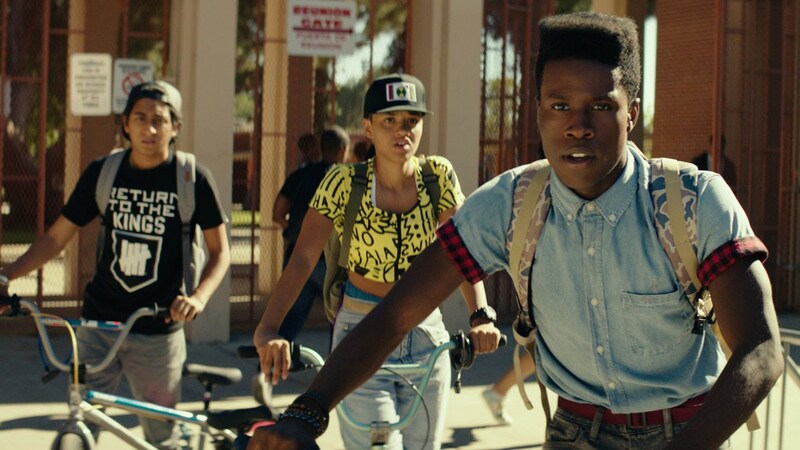 Of all the breakout films that made noise at the 2015 Sundance Film Festival, Rick Famuyiwa’s Dope was among the loudest. Famuyiwa, the director of The Wood and Brown Sugar, returned with a coming-of-age story set in and around Inglewood, California. Yet Dope considers life on the streets from a different POV: a geek’s. Malcolm (Shameik Moore), Diggy (Kiersey Clemons), and Jib (Tony Revolori) just want to hang out, play punk songs with their band Awreeoh, and avoid the daily hazards of their neighborhood until high school is over. Malcolm has dreams of bigger things for himself, but they’re complicated when a local drug dealer (A$AP Rocky) slips him his stash after a deal gone bad. For all the clear influences detectable in the film, Famuyiwa builds a world all his own, one that’s at turns hilarious and hazardous, and very much of its time. 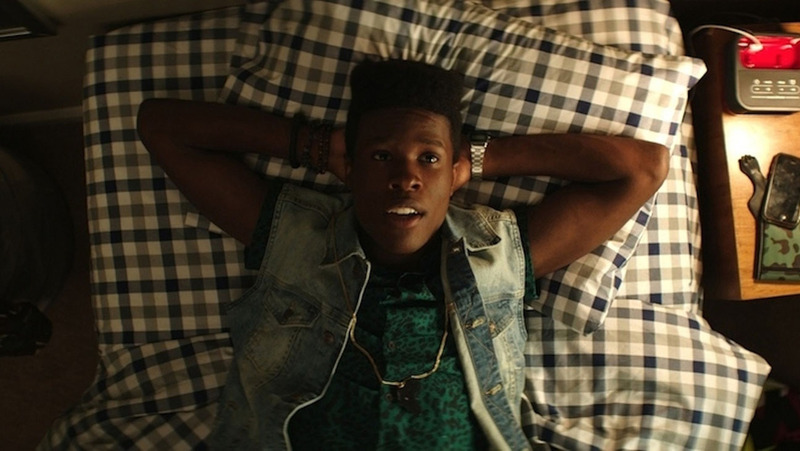 Before the film hits theaters on Friday, CoS had the chance to talk with Famuyiwa about the film’s influences, its music, and how he found the right voice for a trio of unlikely dope dealers. Your films have dealt with different coming-of-age rituals: marriage, first loves, etc. What attracted you to this story? I felt like there was sort of a voice coming from this emerging generation of entertainers, leaders, and kids, and I felt like that voice hadn’t really been heard and was really interesting to me. That was kind of where it came from. I like to tell stories about human beings and human experiences, and I think those rituals are a part of what connects us, but I want to tell them in a way that’s from my point of view. I think my fascination with that is sort of just the fascination with how we all connect and become who we are. That plays into how there’s a really distinct sense of place to the film. How familiar were you with Inglewood and the surrounding areas, and how much did that inform how you approach modern black culture in Southern California? I’m from Inglewood, I’m from the neighborhood that these kids are coming from, and I felt that my own experiences growing up wouldn’t be too dissimilar. The way that I talked to and related to my friends would be very similar to the way kids of this generation talk to and relate to each other. Not a whole lot changes when you’re a teenager. Teenagers in the ’90s were probably about the same as they are now and will be 20 years from now. [Laughs.] I just kind of wanted to stay true to that, and then also knowing where I came from, sort of staying true to the environment that I was from. I wanted it to be very specific, because I feel that through that sort of specificity is where we connect and feel like we’re watching real people onscreen, and not the manufactured people that get into stories and movies. I wanted to stay true to the reality of that world. A lot of that comes through the leading trio. They’re as natural and graceful a set of performers as have been onscreen in a while. While Tony Revolori was in The Grand Budapest Hotel, you worked with a fair number of unknown actors. How’d you find your way to them? Just through the grind of the audition process. I had a really great casting designer… [Laughs.] It’s been a long day. I had a great casting director, Kim Coleman, who among many things was instrumental in finding John Boyega [of Attack the Block and the upcoming Star Wars], so she’s definitely sort of connected into finding young talent. She found a lot of interesting people to come in and read, including Tony and Kiersey. Shameik actually sent his tape in — he was a self-taped audition that came in from Atlanta, and he found me instead of me going out and finding him. It turned out to be a really magical moment when I saw his tape come in, but I knew that we’d be casting unknowns because there just weren’t gonna be established name actors in this age range. We’d just be finding new voices. I knew they were out there; we just had to do the legwork. Did they hew fairly close to what you had in mind when you were writing the film? Did the characters change at all with them over time? It stuck pretty close to what I wrote, but I always wanna leave room for actors to find the characters within their own craft and how they approach it. I think Shameik and Tony and Kiersey brought something to those roles that I didn’t see as I was writing them, because they’re creative and they’re artists in their own right. Particularly with Kiersey, I think her interpretation of Diggy was a lot different than what was originally in my mind, even though the words and situations were exactly the same as I had written them, but I think her approach to that character was definitely different than I had originally thought. They’re really talented actors, and I think they were able to bring their own ideas, their own points of view, to these characters, and it was up to me to allow them to do that in a way that still serviced the movie. The film is heavily keyed into current youth culture. How much of that were you aware of coming in? Was there anything that surprised you as you started putting together something that would feel so current? I didn’t really look into it, except that I just sort of channeled my own voice as a youth into this, and I figured it would probably sound about right. [Laughs.] Because, I don’t know what it says about me, but I still feel like I’m connected in many ways to a lot of things in the culture. I live on my smartphone as much as anyone else, and I try to stay as current as possible on what’s going on, because I’m interested in a lot of different things. It was really just sort of me speaking with my voice, but understanding that what we all sort of label as “now” and “current,” we’ve been having these same conversations for generations. Just putting it in their mouths was enough to make it feel contemporary. You offer a lot of commentary on contemporary culture, especially as it relates to drug culture. Can you talk a bit about how you wanted to present and address that? I wanted to pay homage to a lot of films in the ‘90s, and a lot of those films, whether they were Boyz n the Hood and Menace II Society or True Romance and Pulp Fiction, seemed to always feature the underbelly and heart of Los Angeles. I wanted to tell that story but give it a new twist and take these kids on an adventure, but an adventure that could only be told today. How drug culture has interacted with technology was where I wanted to go and where I felt like these kids would naturally progress as they got deeper and deeper into the problem they were faced with. The title of the film is Dope, and it has multiple meanings, so I wanted to deal with every aspect of that meaning, including the drug culture aspect. The Awreeoh songs in the film are wonderful. How did those come to be? They were all done before production. Pharrell Williams wrote all of that music, and I met Pharrell early on in the process, and he wanted to be involved in it. We talked a lot about this band and what it would sound like. I think his own ideas kind of seeped in there, but it was really about this generation of young people who don’t have any sort of limitations on what they’re exposed to. Malcolm’s obsessed with ‘90s hip-hop but is also influenced by what he’s hearing on the radio today, and is also into punk and grunge, and [we looked at] what that would sound like. Since Pharrell is very much about pushing those boundaries and breaking down categories, it felt like he’s the only one who could have accurately found that voice. He created all the music, recorded it with the three lead actors, and we had all that stuff before we went into production. So that became a big part of the voice of the movie, and that music kind of played a part in these kids and how they defined themselves. Dope will be in theaters nationwide starting this Friday, June 19th.